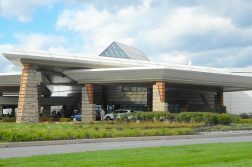 The latest Pennsylvania casino to apply for permission to offer sports wagering on-site and over smartphones is Mohegan Sun Pocono, located about 100 miles northwest of Philadelphia. The petition for a $10 mm license was filed Wednesday, as first reported by The Citizens’ Voice. The Downs Racing casino forged a sports betting partnership with Unibet Interactive, a subsidiary of the Kindred Group, earlier this year. The plan is to utilize the Unibet brand for the casino’s sports betting product. Other than the Unibet branding, few details have been made public about the retail sportsbook at the casino. Mohegan Sun last year petitioned the PGCB for online casino gambling. Pennsylvania’s retail sports betting industry has been slow to take off, but the market is still in its infancy after the first book opened in November. After multiple delays, the Keystone State is now anticipating mobile wagering to be available around mid-year. It’s fair to say the state’s sports betting industry doesn’t truly begin until statewide mobile is available. The state’s eight retail sportsbooks took just $31.5 mm in sports betting handle last month, a drop in the bucket compared to neighboring New Jersey, which is equipped with mobile wagering. The most recent figures out of the Garden State show that more than 80% of the handle is now coming over the internet. Pennsylvania’s sportsbooks reported less than $2 mm in revenue off the handle in February. Mohegan Sun is involved with New Jersey online gambling under a deal with an Atlantic City casino. The Wilkes-Barre casino is not in a rush for sports betting. That could change, as the licensing process plays out. The casino is looking to have its sportsbook open in time for the upcoming NFL season. Like every other operator, it’s hoping the PGCB will sign off on mobile betting before then as well. Sports betting at the casino should help its table games, which saw 15% less revenue in 2018 ($35.6 mm) compared to 2017 ($42.4 mm). That was the second steepest table game win decline among the state’s 12 casinos. Only Mount Airy had a tougher year (-16.3%). Mohegan Sun has more than 90 tables. The casino is also equipped with more than 2,000 slot machines. Those didn’t fare too well for the property in 2018. Mohegan Sun’s slot revenue fell 2.9% to $198.3 mm. Only Lady Luck Casino Nemacolin had a worse year (-6.2% compared to 2017). Mohegan Sun could use sports betting (retail and online) and online casino as much as any casino in the commonwealth.